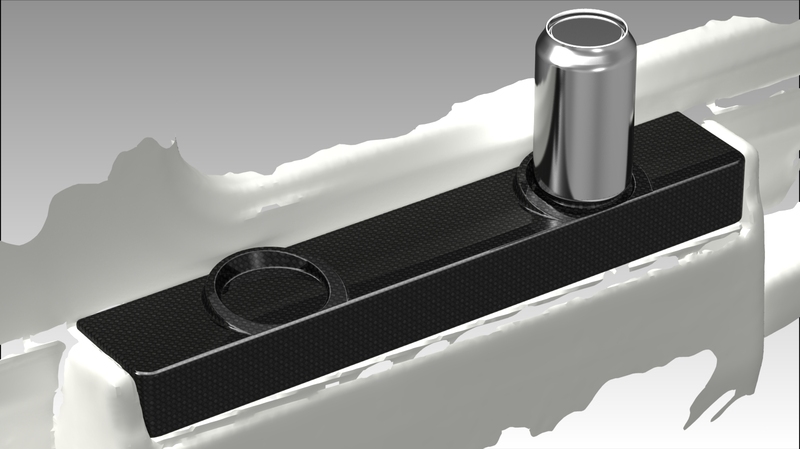 We’ve been playing around with designing some carbon fiber cup holders for an aircraft interior. This provided a nice opportunity to play around the KeyShot, which is what I use for rendering. Other than the scanned data looking quite coarse (not surprising since it wasn’t rebuilt and just rendered as-is) I was really happy with the results. I have to say I was really impressed with the stock carbon fiber material which is included in the software – it’s quite good and I barely had to tweak it to get it where I wanted it. Considering how easy it was to get a very professional looking result so quickly. I think I’ll be doing a lot more rendering in the future.